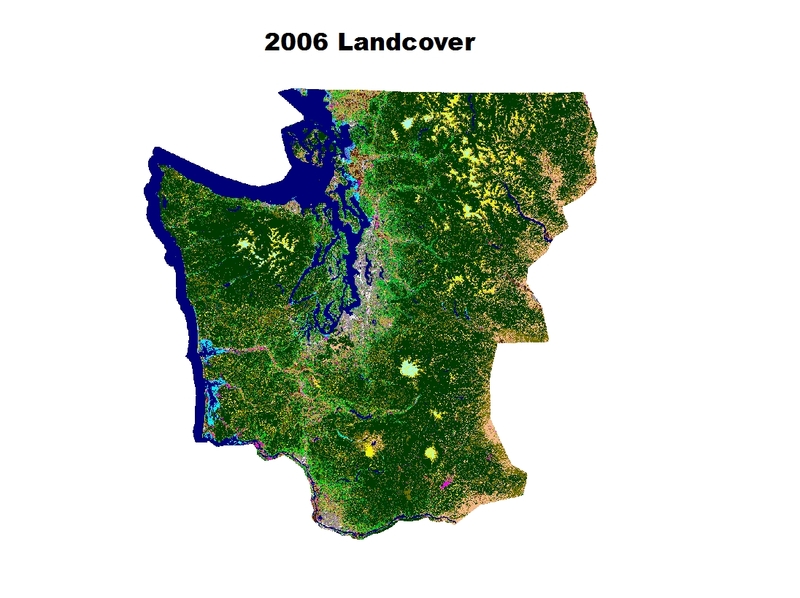 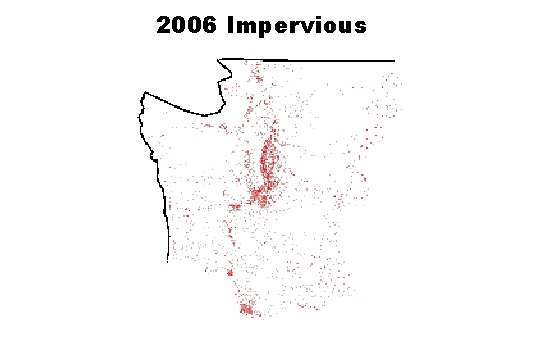 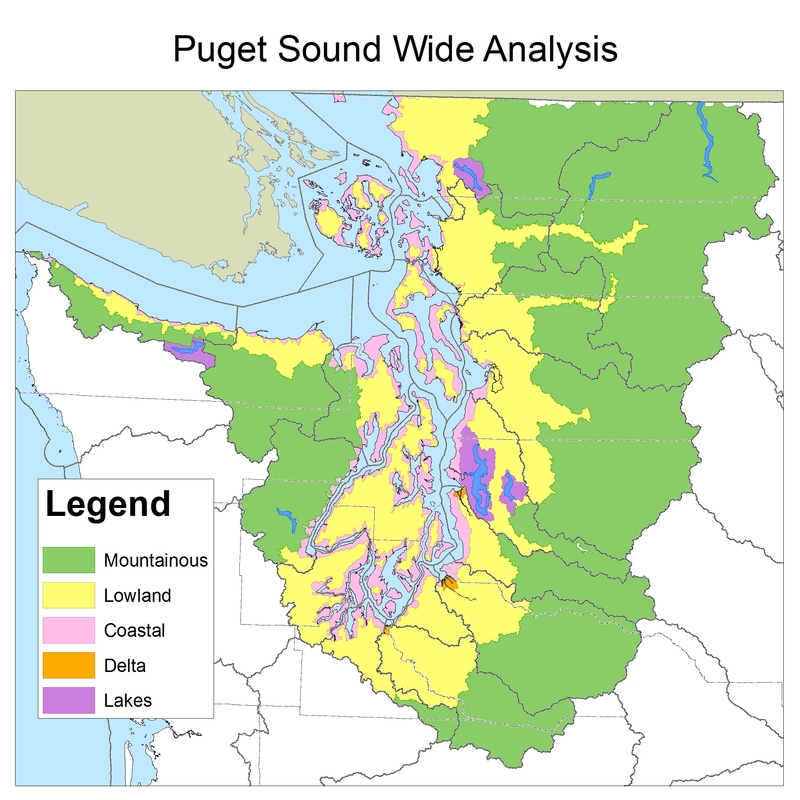 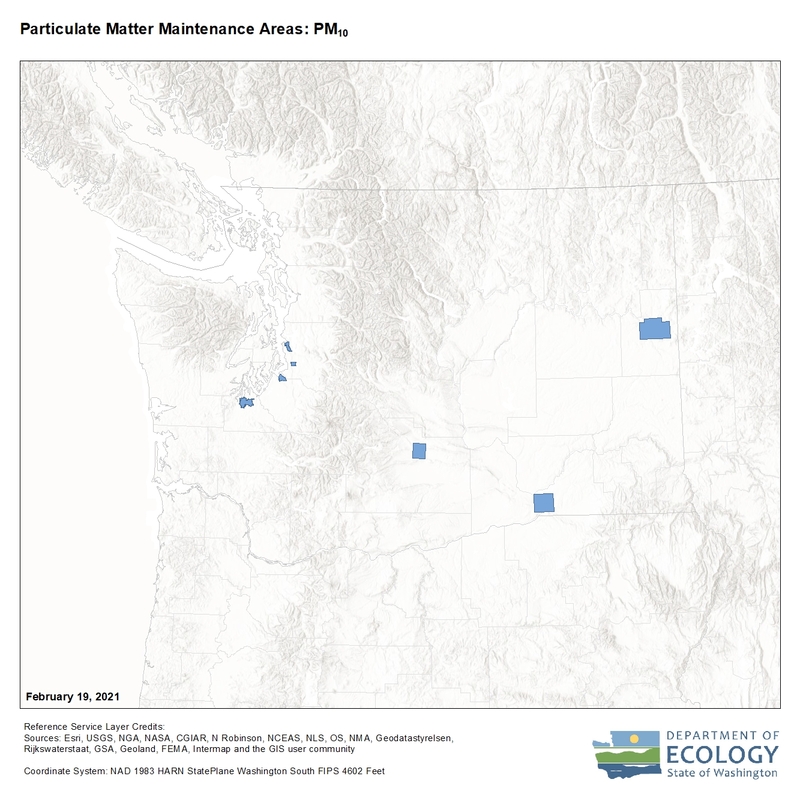 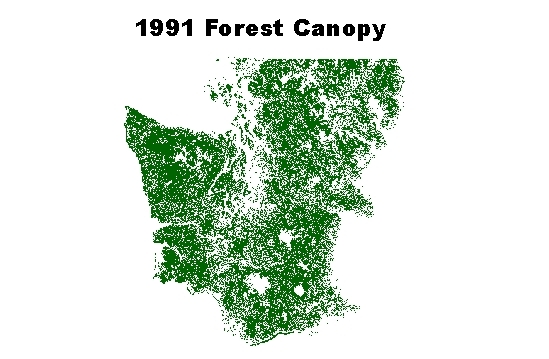 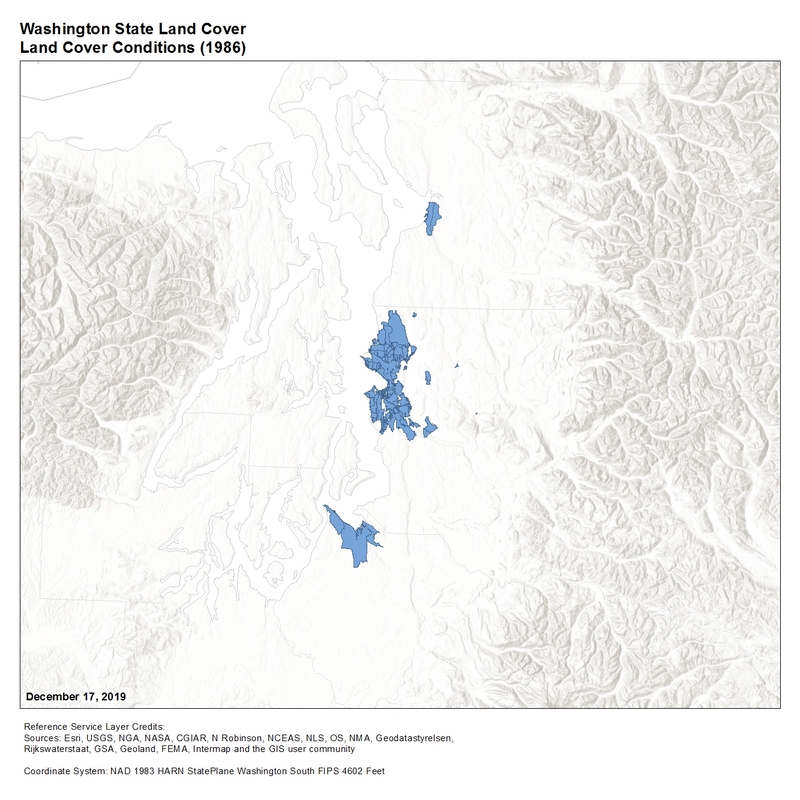 We maintain the spatial datasets described here in order to better describe Washington's diverse natural and cultural environments. 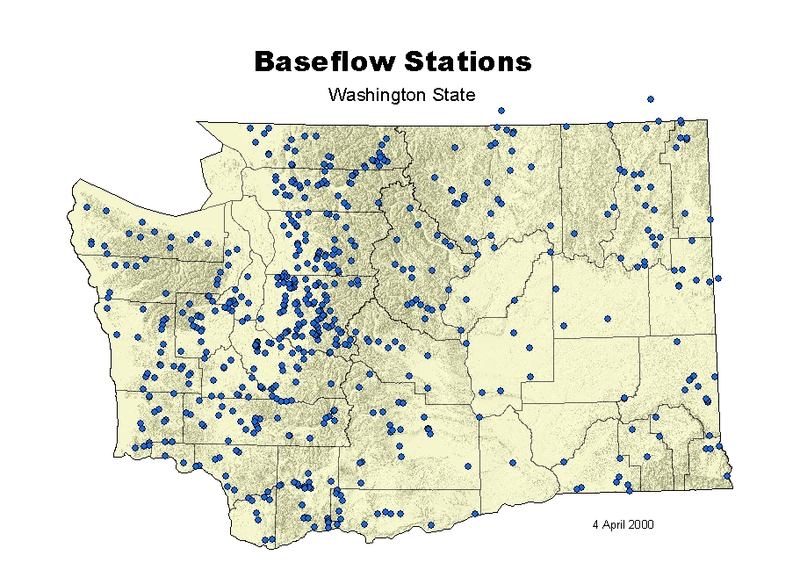 As a public service, we have made some of our data available for viewing and downloading. 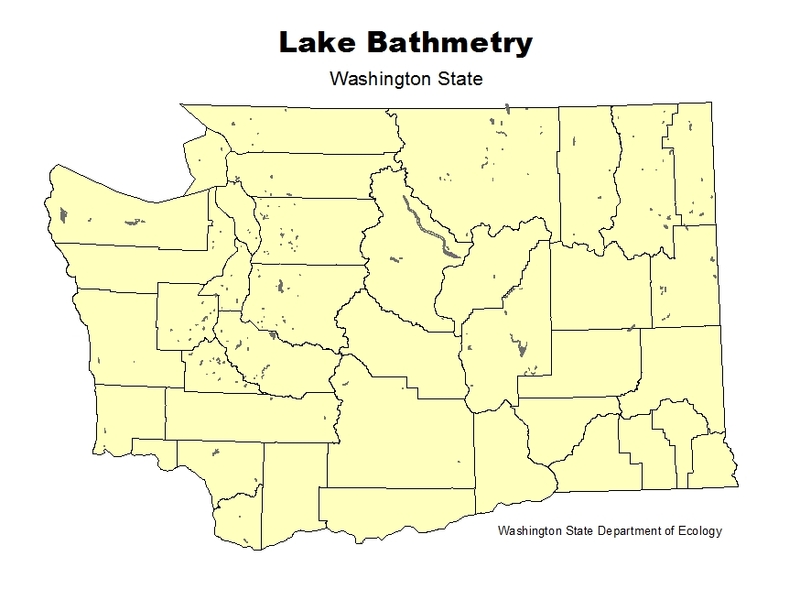 Our geodatabase's standard projection and datum are in Washington State Plane, South Zone, NAD 83 HARN, units US feet, unless otherwise noted. 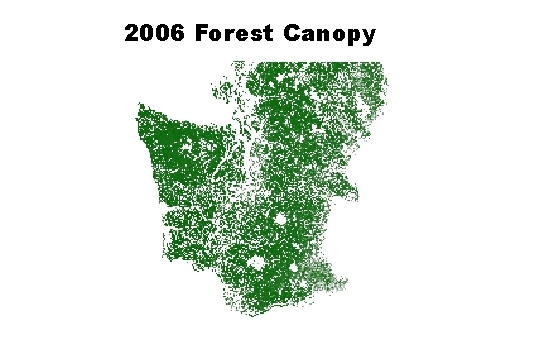 We also have a few maps available. 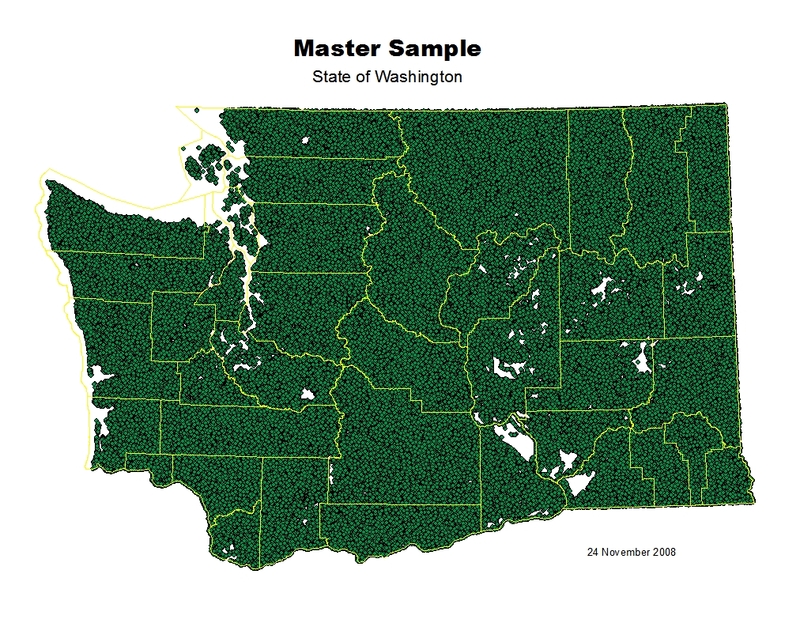 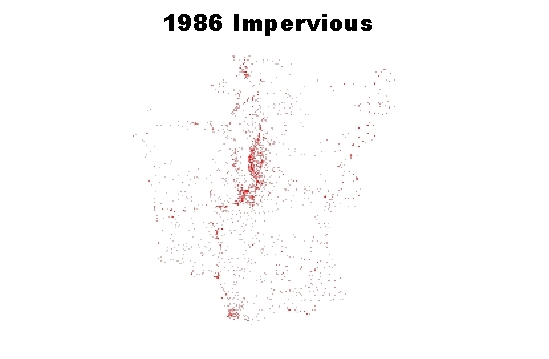 For a listing of these maps, please go to our GIS Maps page. 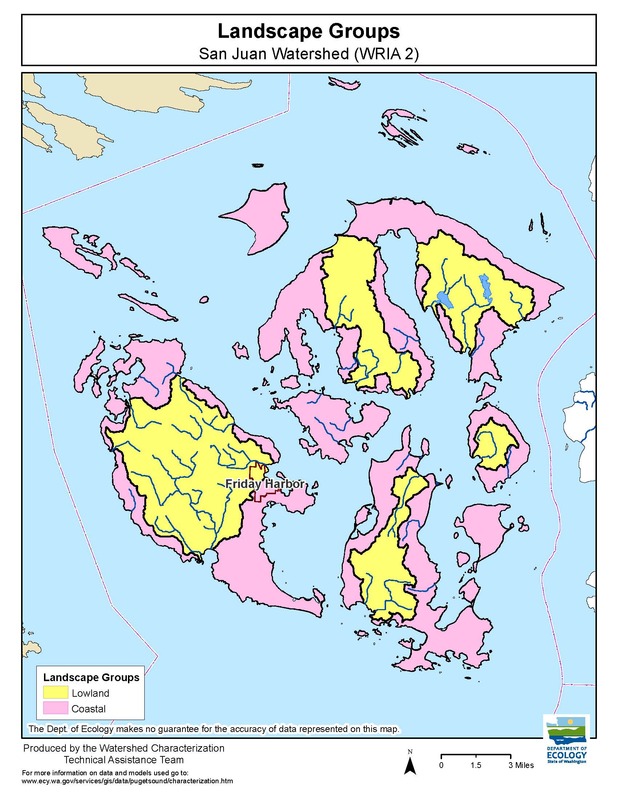 Please choose a letter to jump to that section. 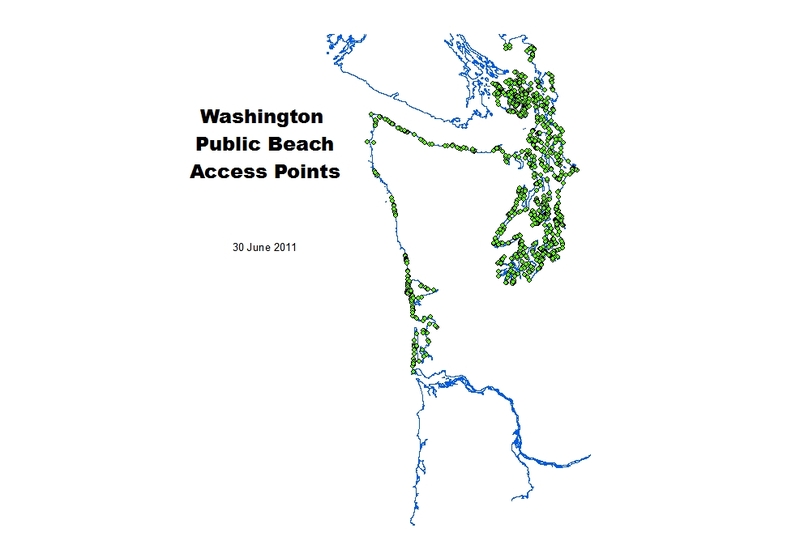 A detailed GIS database of public access locations with attributes along the coastal shorelines. 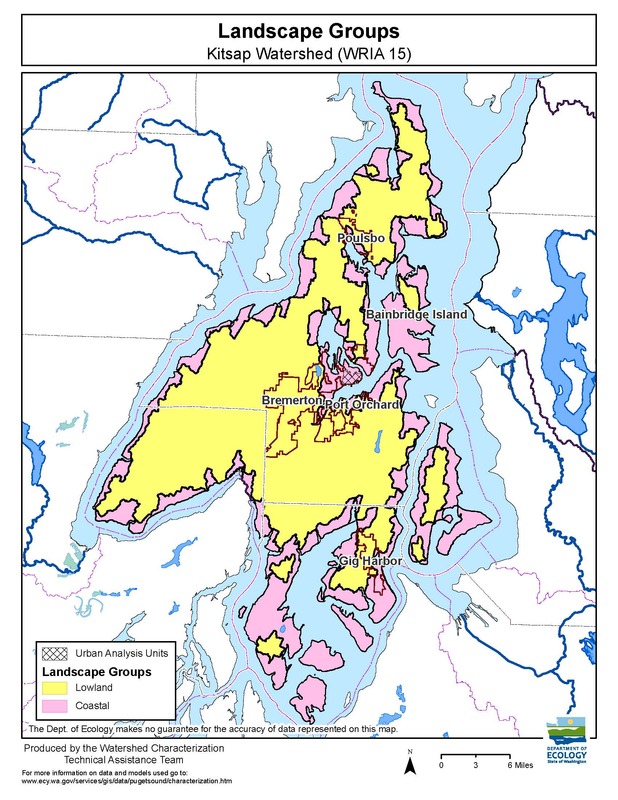 The location, length, and degree of public access to Washington State's marine shoreline. 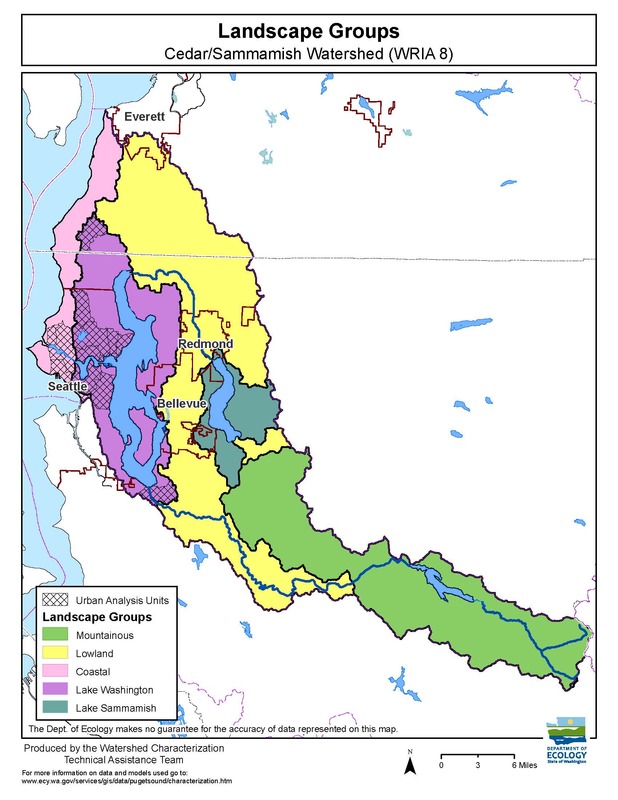 Please submit updates to shorelinepublicaccess@ecy.wa.gov. 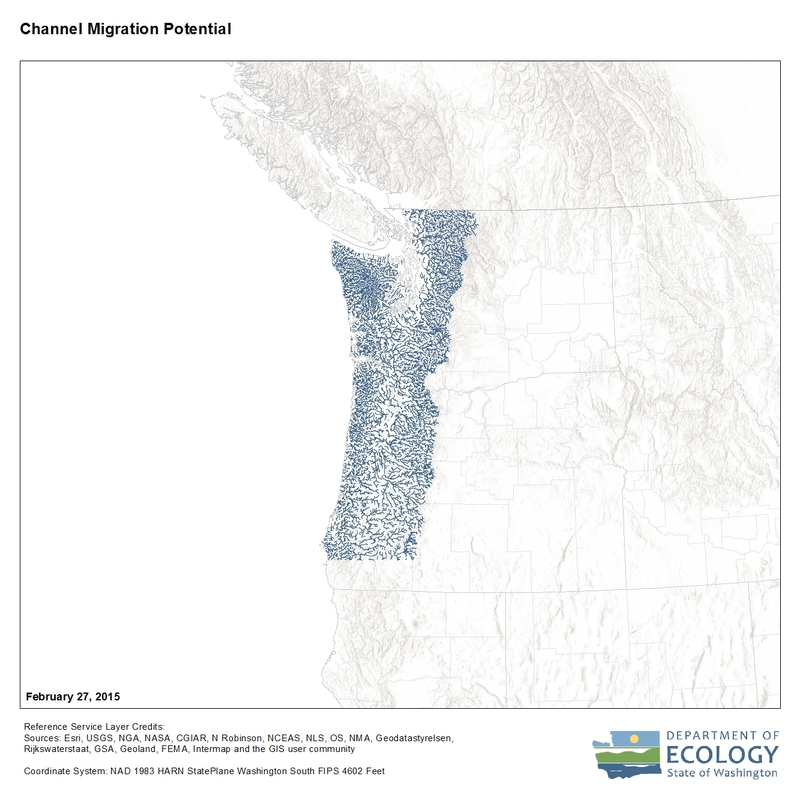 Stream networks of Western Washington (and much of Western Oregon) with associated data and information important for assessing channel migration activity. 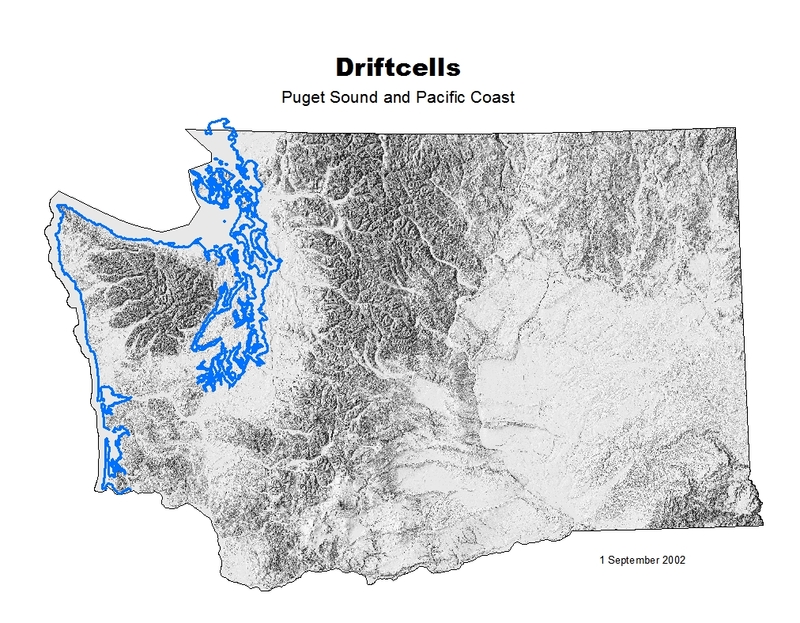 Shore drift along Puget Sound and Pacific Coast shorelines. 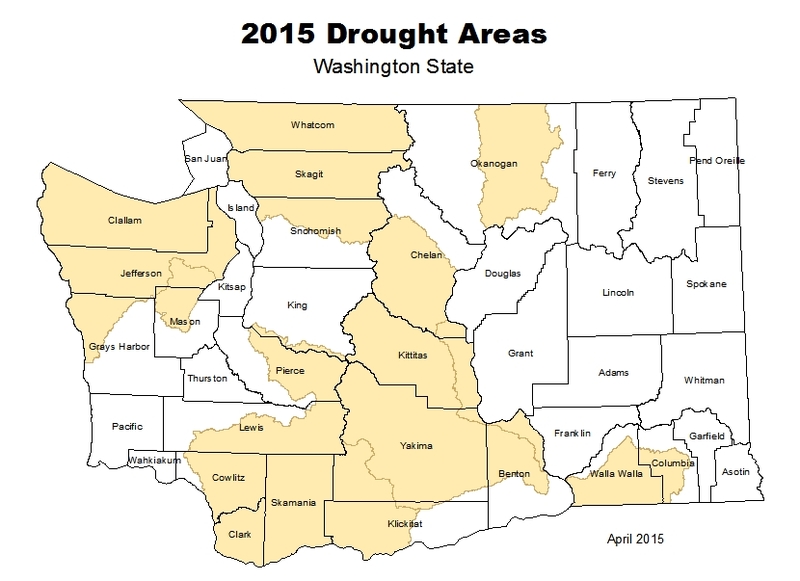 State of Washington drought areas from declarations of March 13 and April 17, 2015. 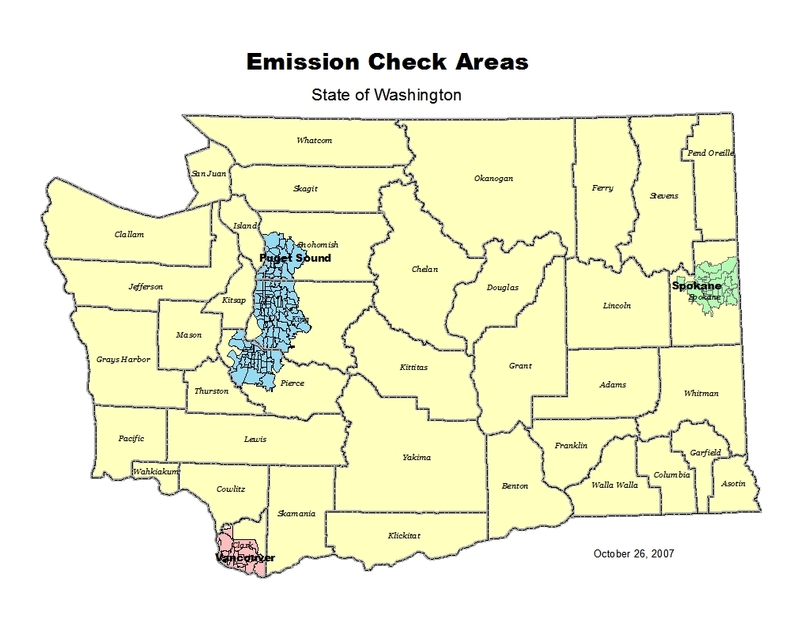 Areas where automotive emission checks are required. 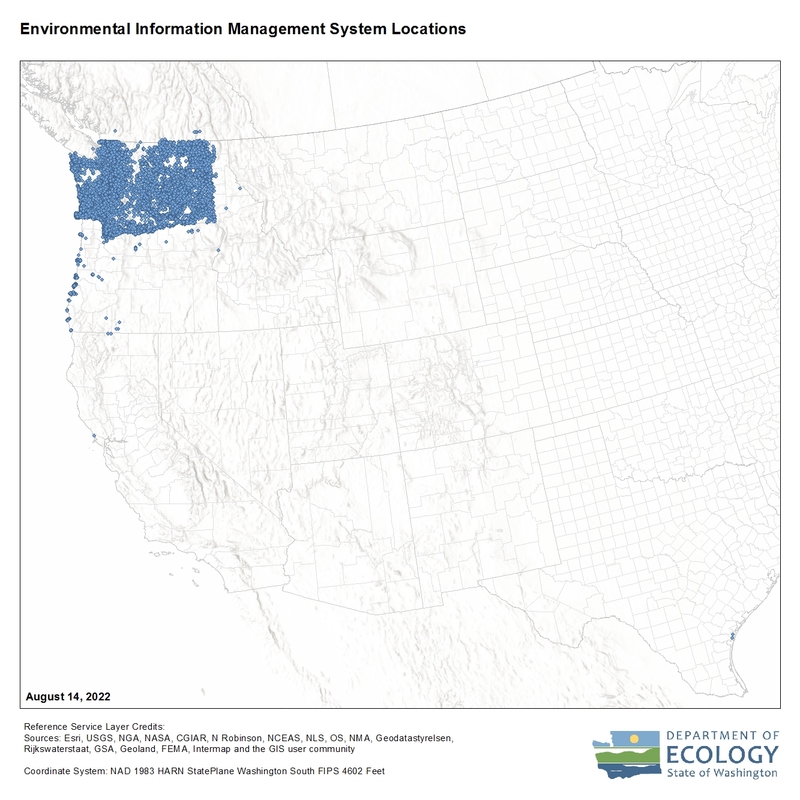 Ecology's EIM database - Updated daily. 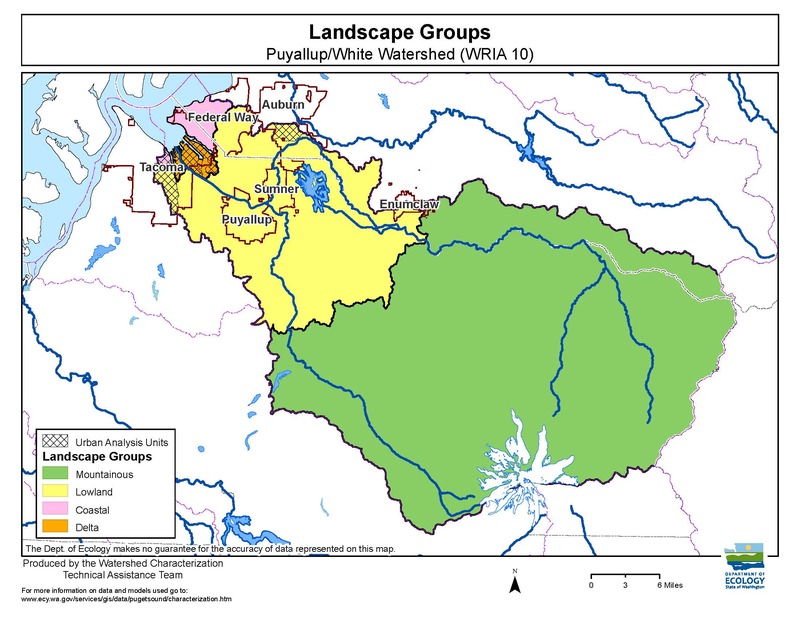 Areas where field gear decontamination is required to avoid spreading invasive species - 3 layers: Streams, Rivers, Watersheds. 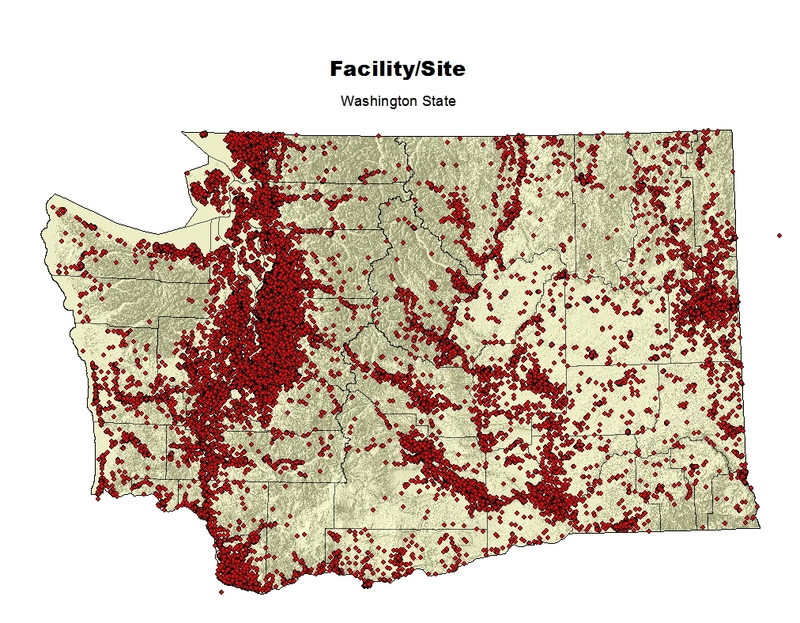 Also, see Facility/Site on the Web. 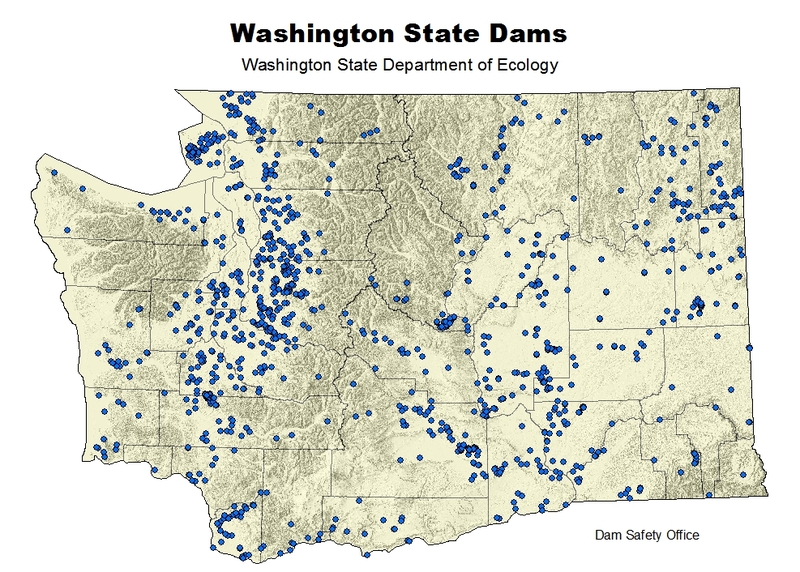 Facility/Site Interaction Table web document. 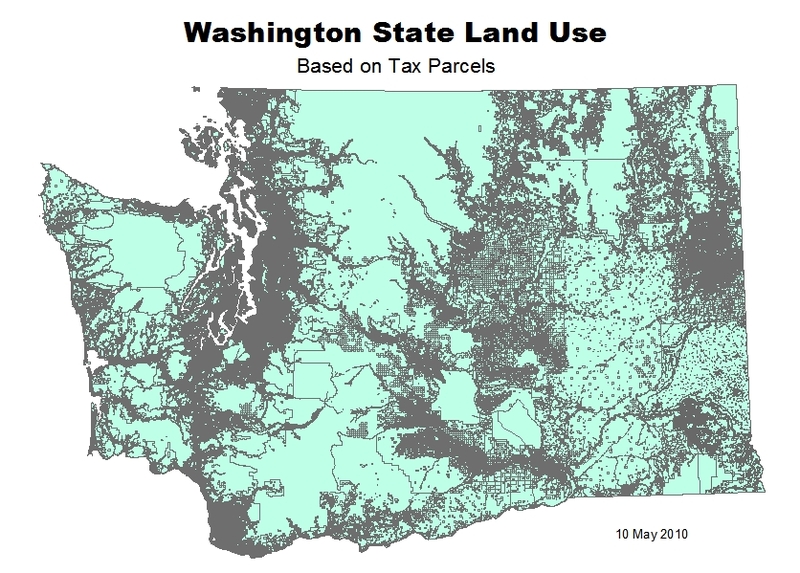 The GNIS database for Washington State is now available for download at the website, United States Board on Geographic Names. 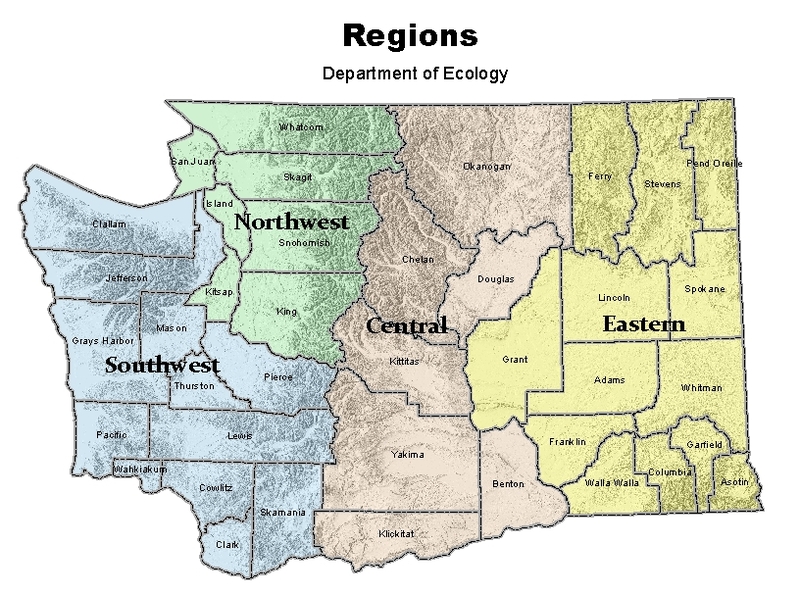 Ecology has adopted the NHD for the state hydrography dataset. 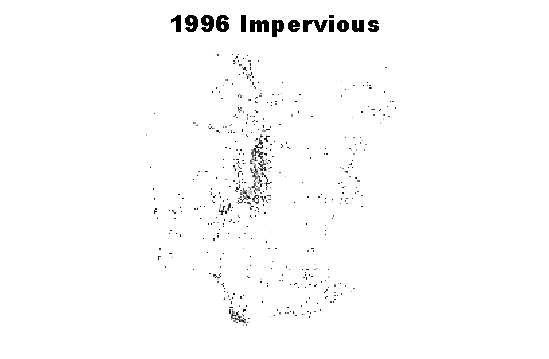 Publish date: February 2018. 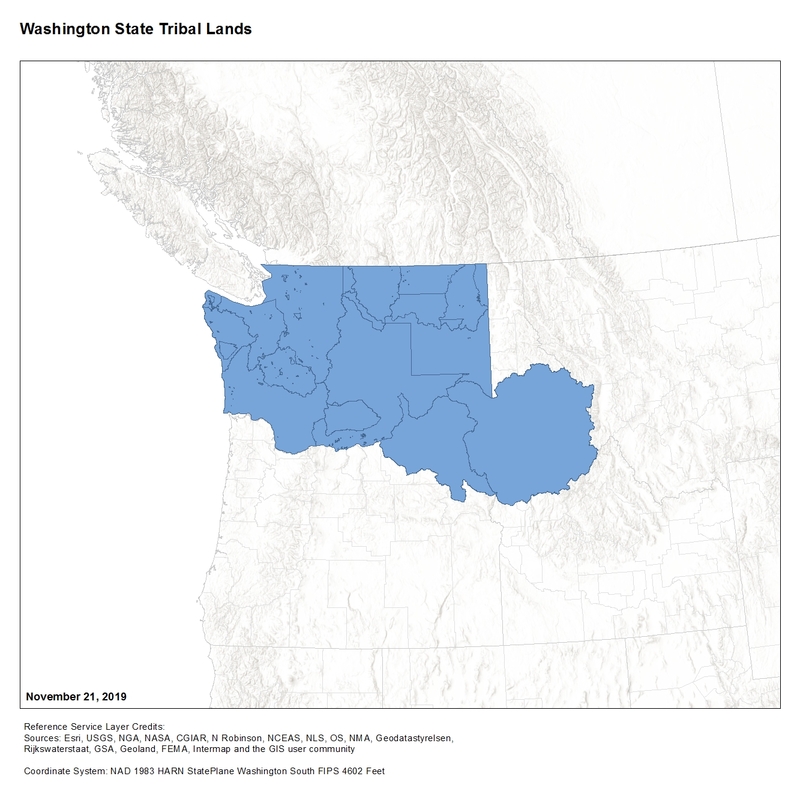 For more information on NHD, see our NHD Story Map on ArcGIS Online. 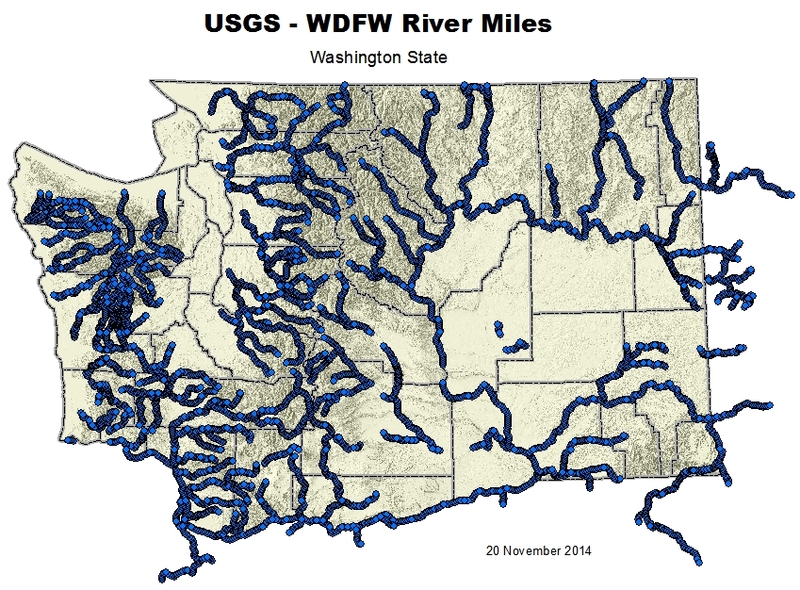 Watercourses and waterbodies at 100k scale. 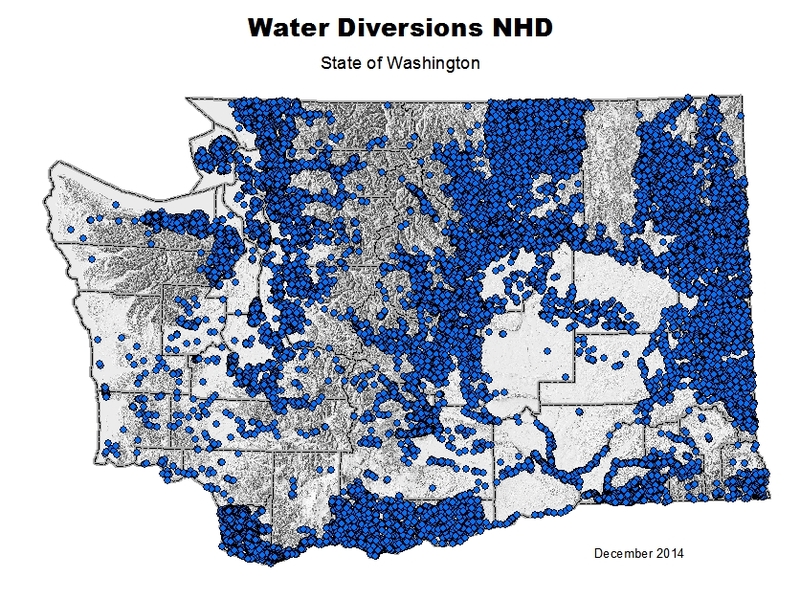 NHD Plus data is available from Horizon Systems. 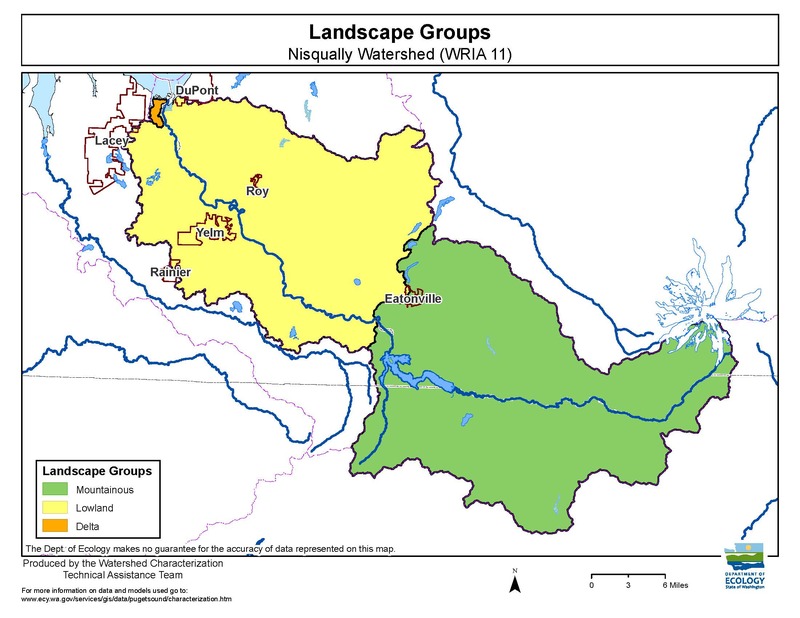 Major NHD water features for cartographic use (3 layers). 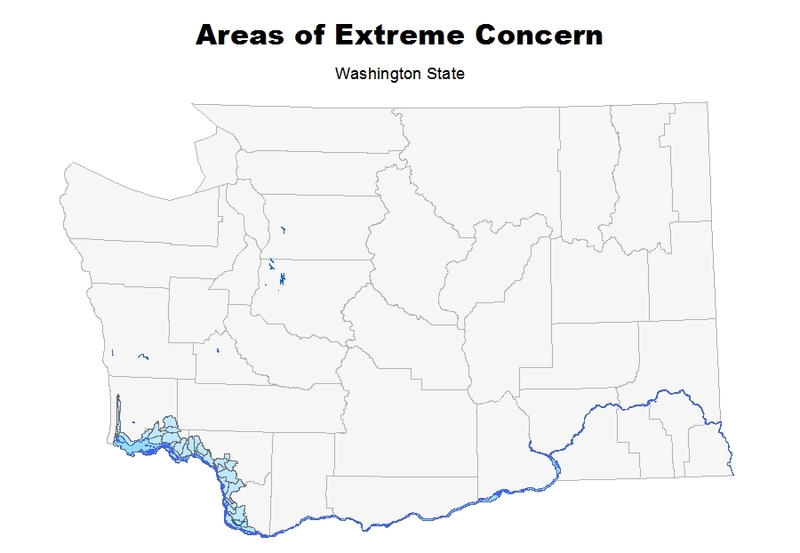 For more information on NHD, see our NHD Story Map on ArcGIS Online. 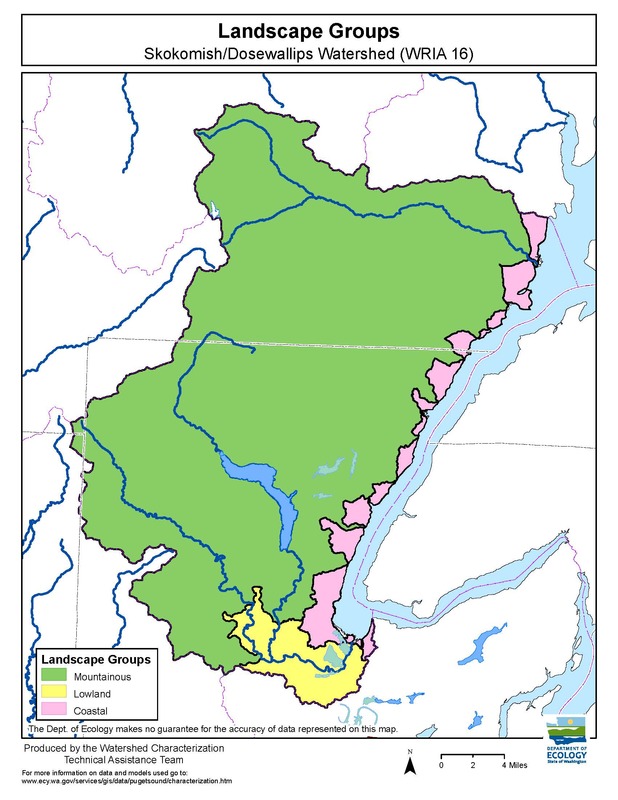 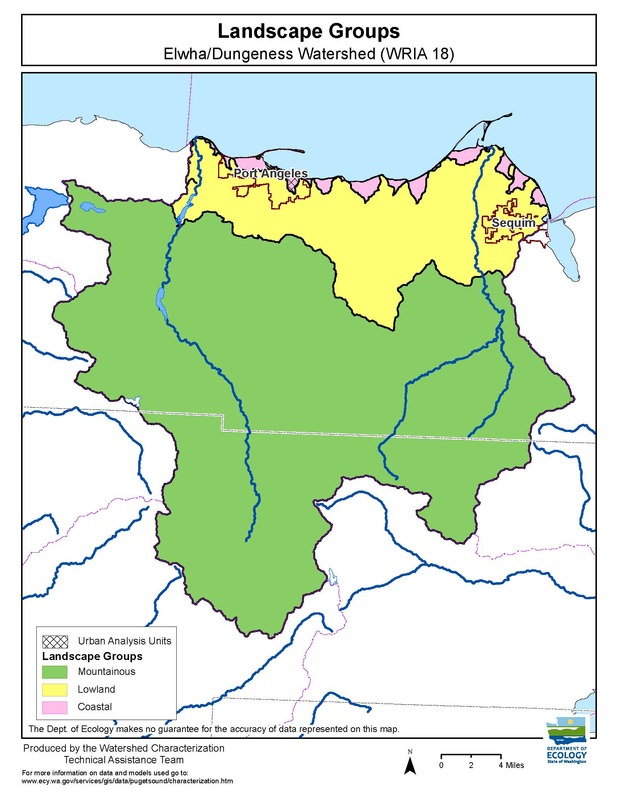 Streams, rivers, lakes, swamps and marine areas designated "Shorelines of the State" or “Shorelines of Statewide Significance” by local governments and published in their shoreline master program and adopted by Ecology. 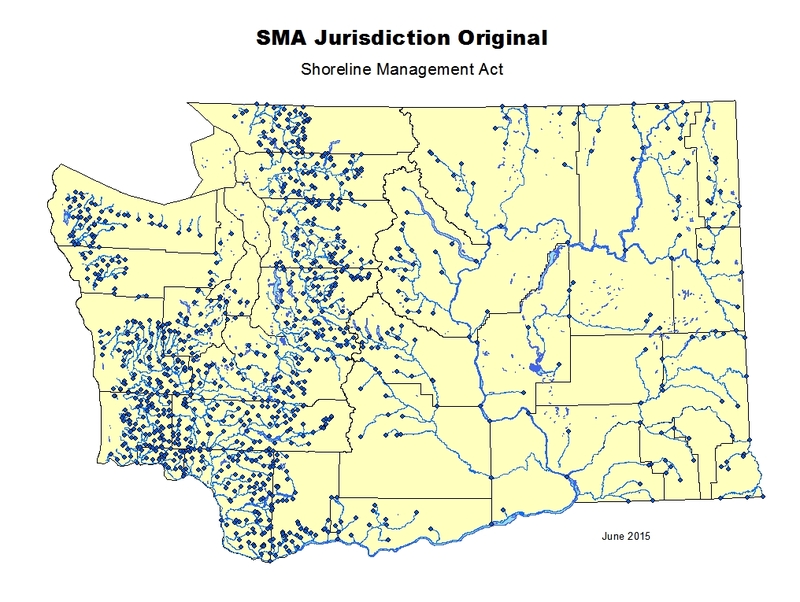 These data represent the current shoreline Management Act jurisdiction as of Feburary 2017. 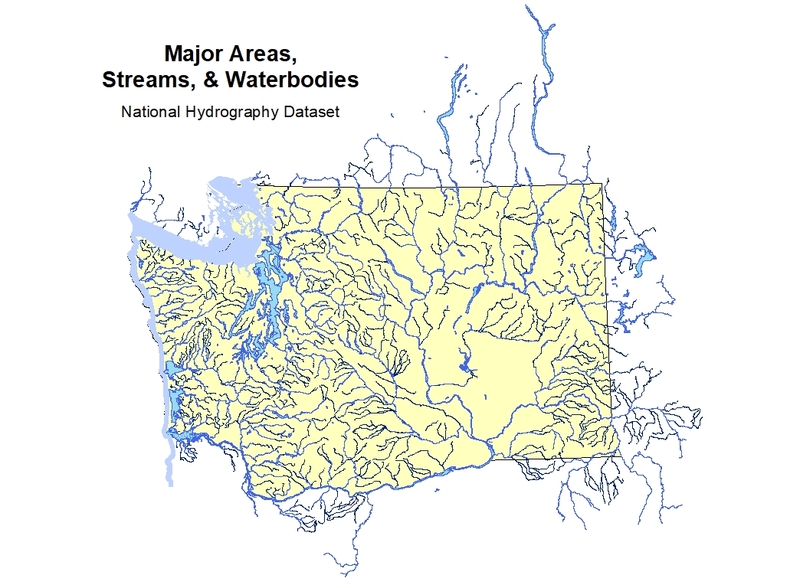 These features are mapped to the Washington State Standard NHD Hydrography layer (version January 2017) and can be used as linear events. 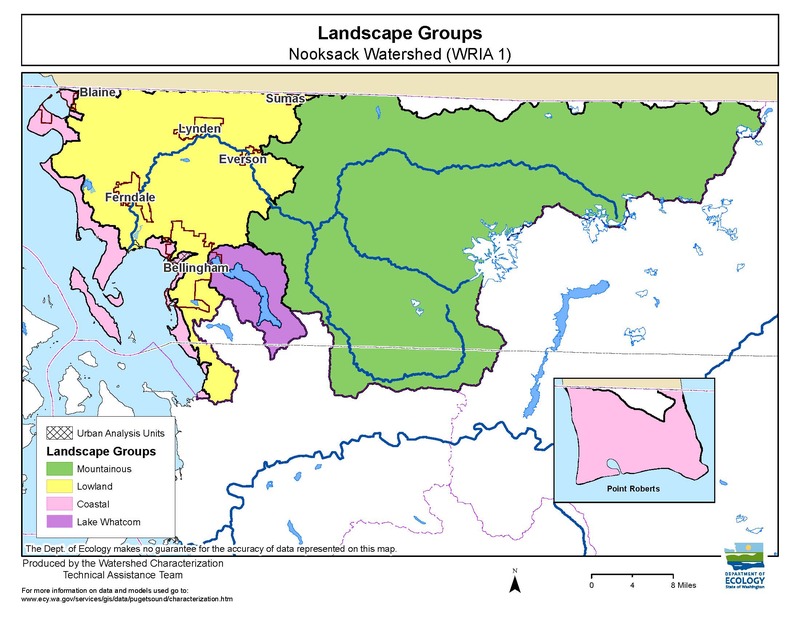 Features that were originally published in Chapter 173-18 and Chapter 173-20 WAC. 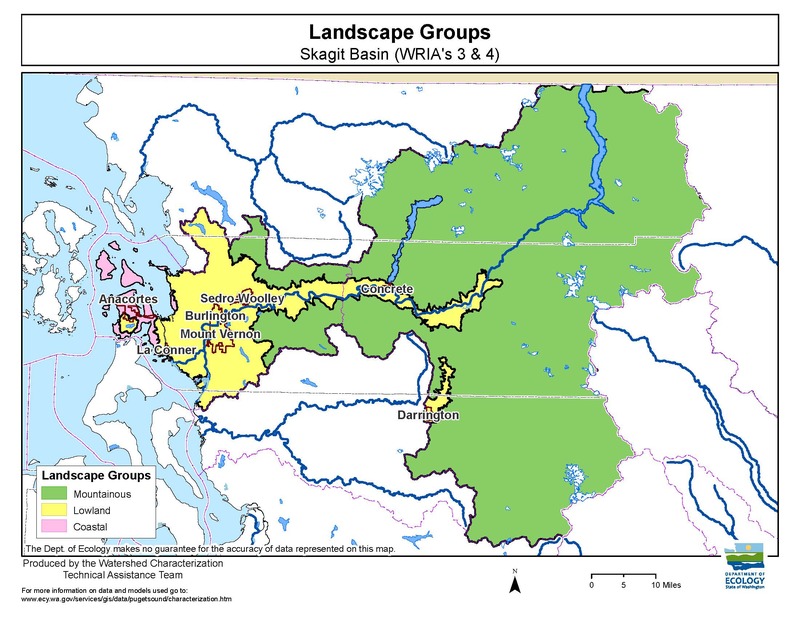 These features WILL BE SUPERSEDED by SMA_Jurisdiction_Adopted as local government updates are approved by Ecology. 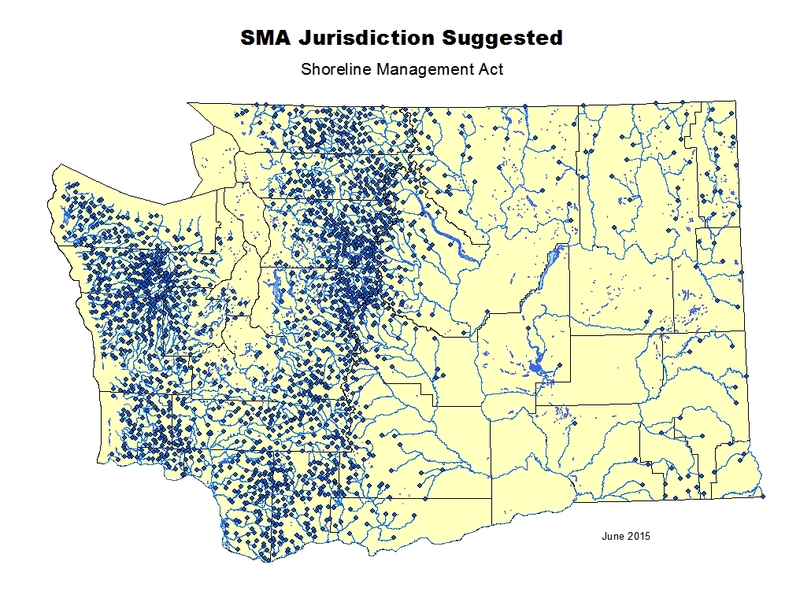 This layer is slowly becoming outdated as cities and counties update their list of Shoreline Management Act streams in their shoreline master program. 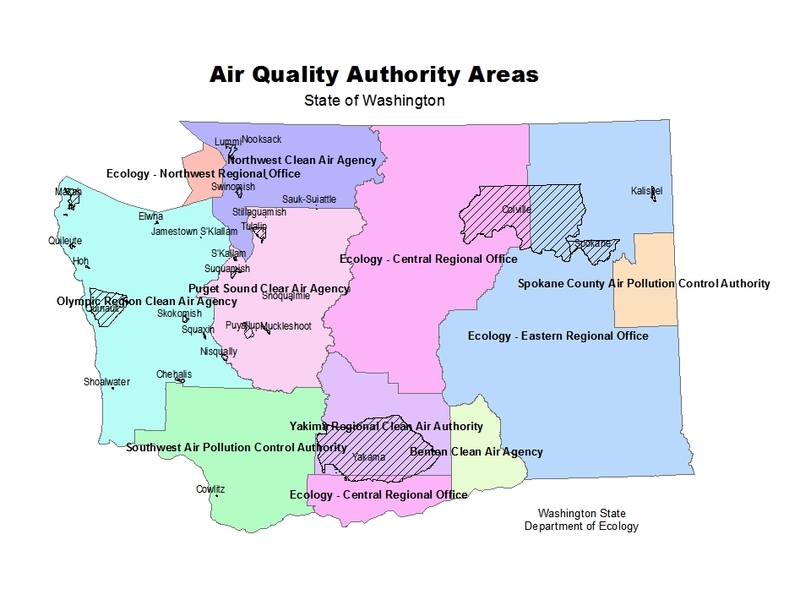 See WAC 173-18-044. 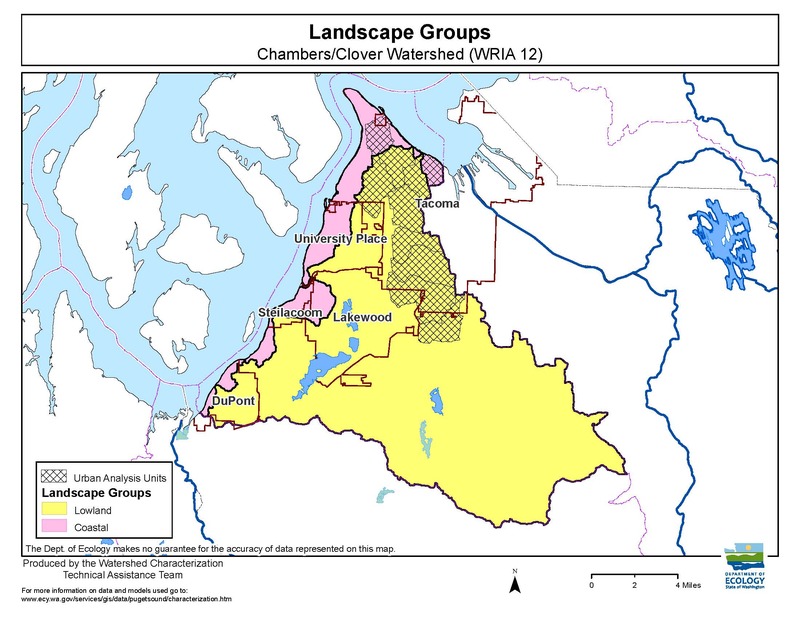 Note that these layers will not be updated. 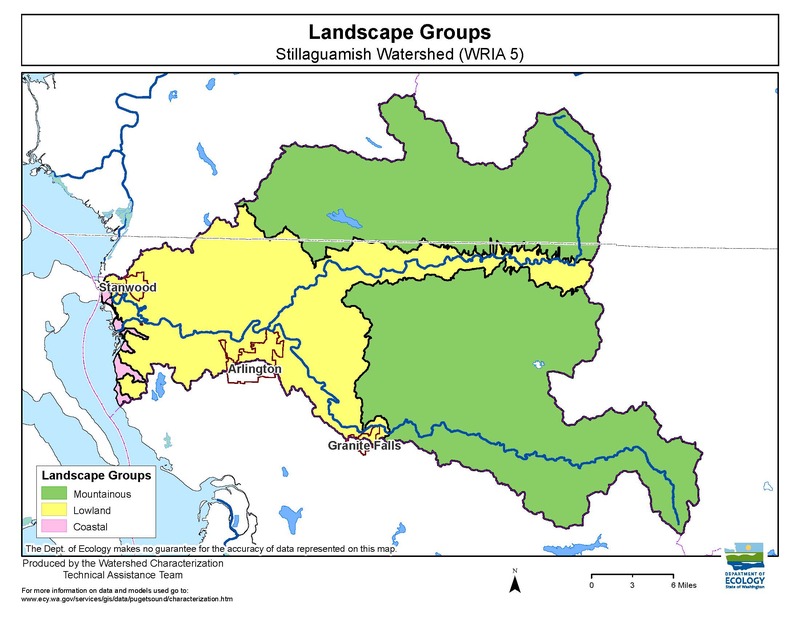 Features that were estimated to qualify as “Shorelines of the State” and “Shorelines of Statewide Significance” as defined in the Shoreline Management Act, RCW 90.58.030. 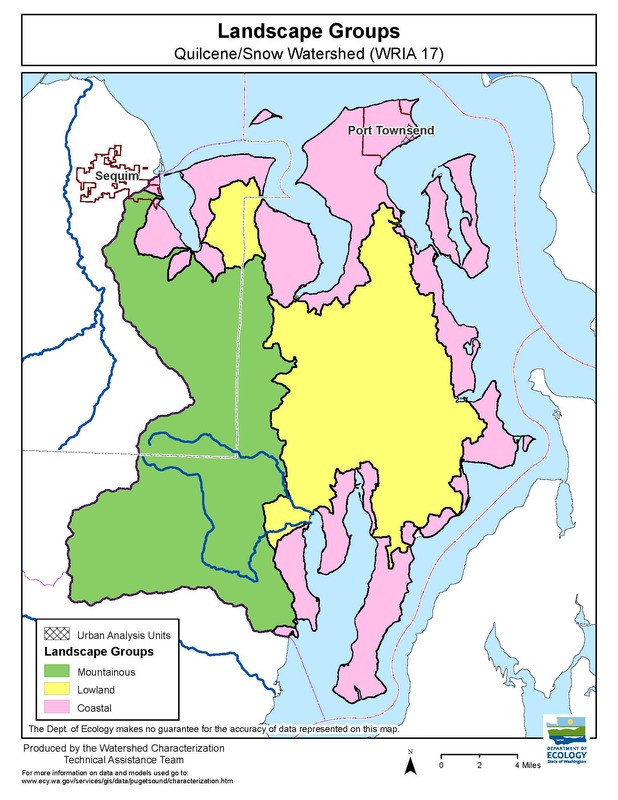 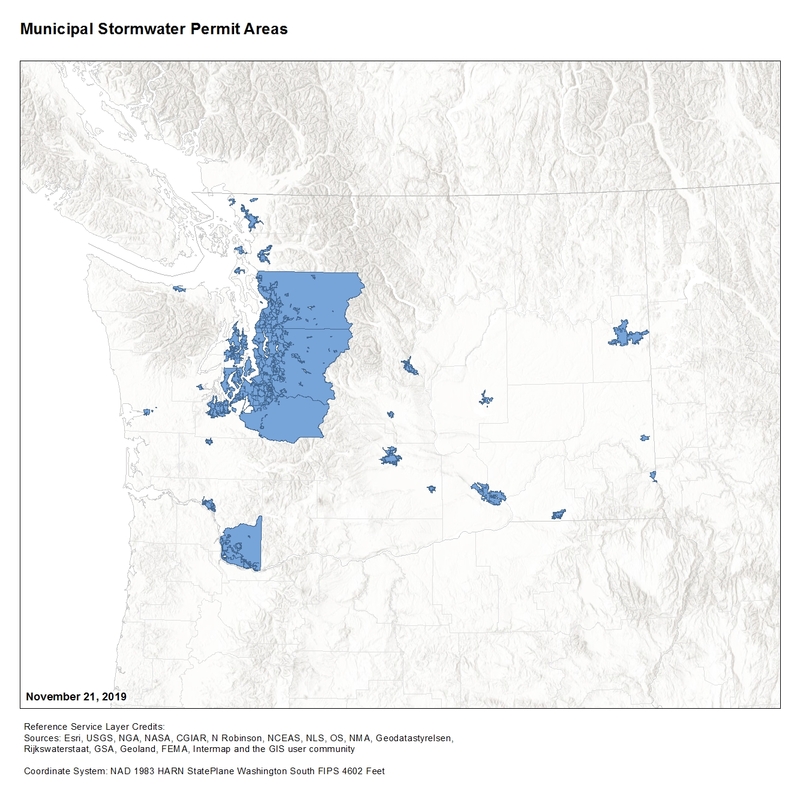 For use by local governments when updating their shoreline master program. 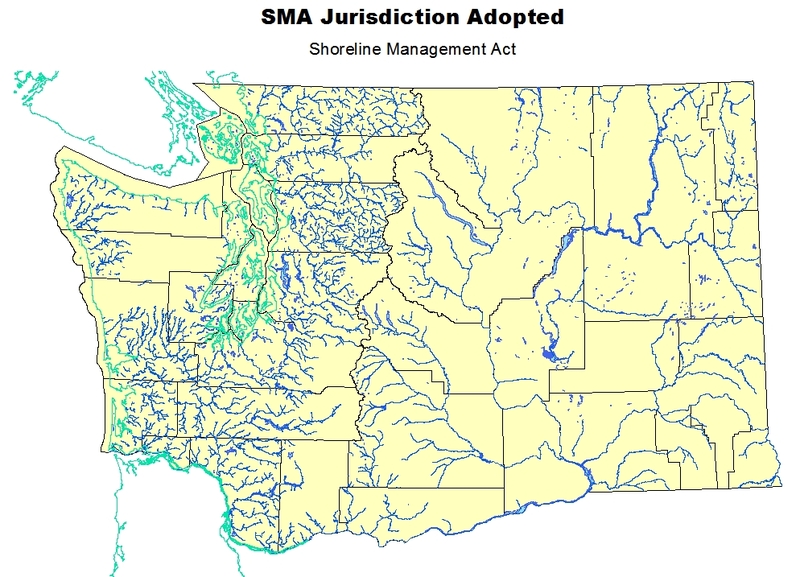 These features WILL BE SUPERSEDED by SMA_Jurisdiction_Adopted as local government updates are approved by Ecology. 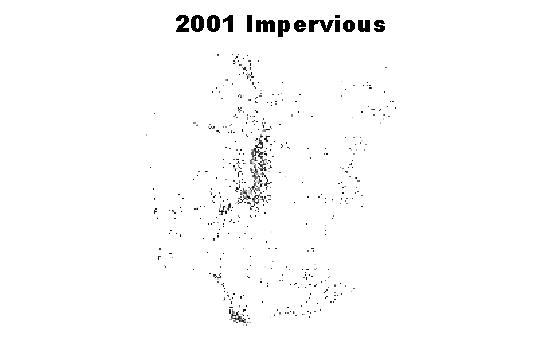 Note that these layers will not be updated. 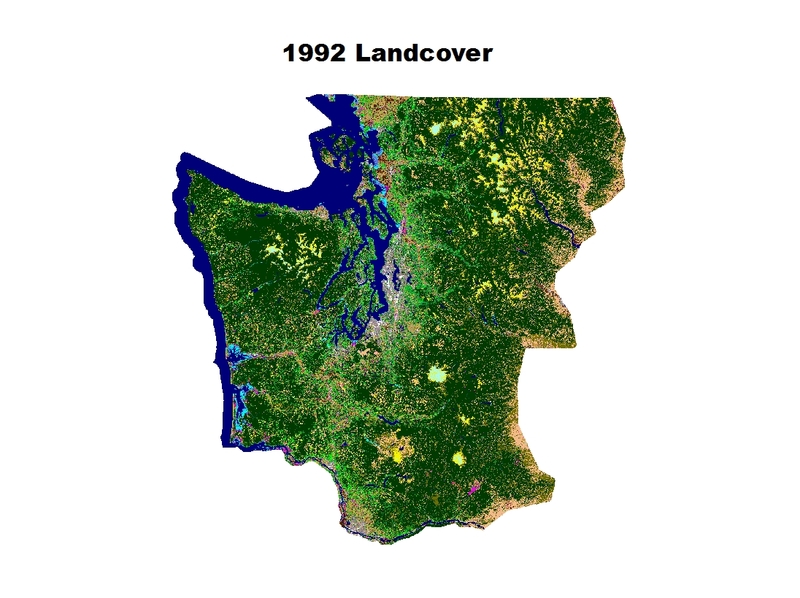 Color oblique aerial photos taken at intervals between 1976 – 2017 along the shorelines of Puget Sound, portions of the Pacific coast of Washington, Washington’s inland waters, and the Washington side of the Columbia River. 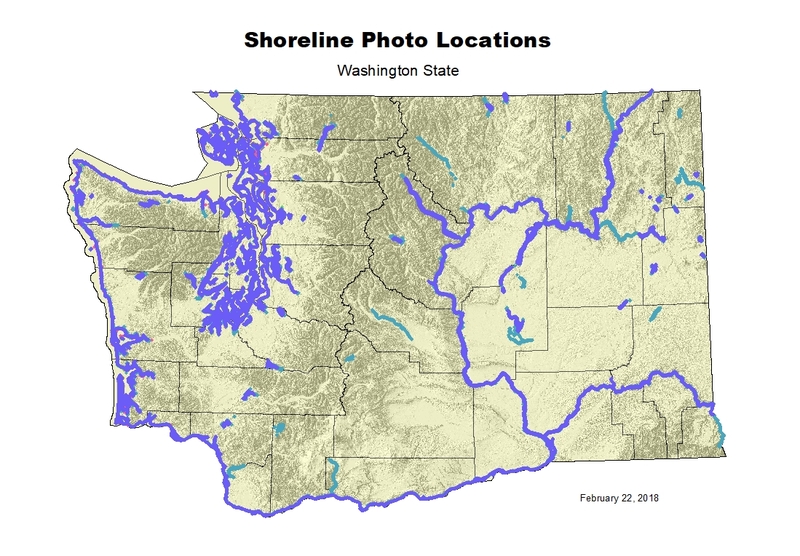 Each photo represents approximately 1.5 miles of shoreline length. 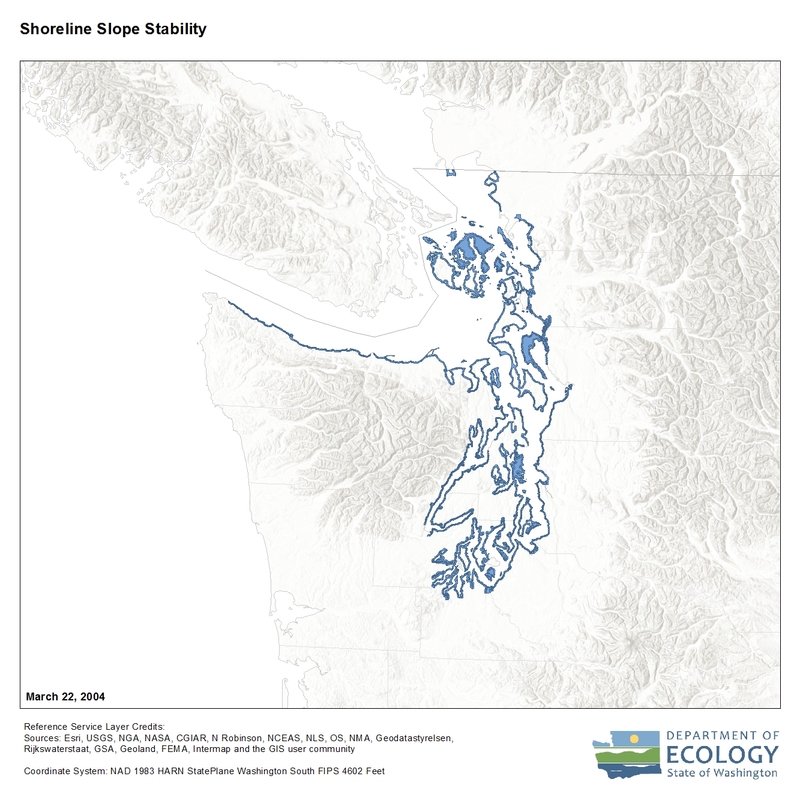 Mapping of slope stability originally published as hard copy maps in the Washington Coastal Zone Atlas between 1978 and 1980. 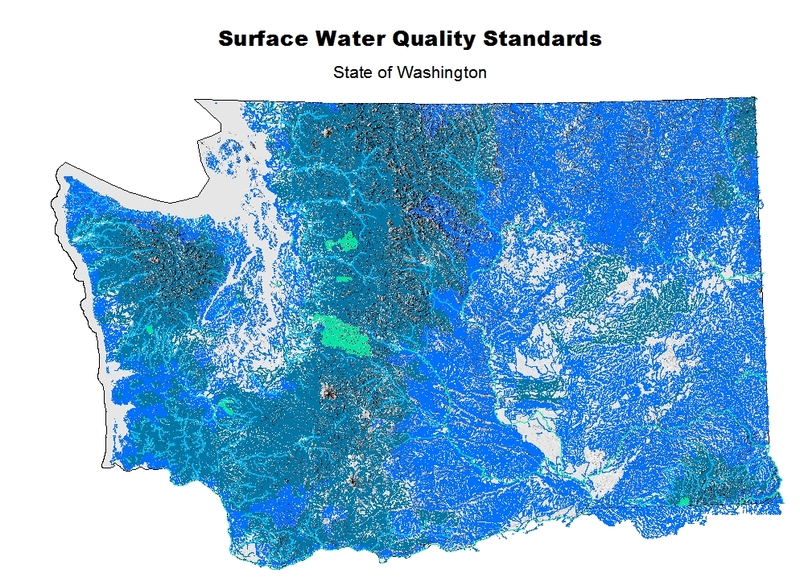 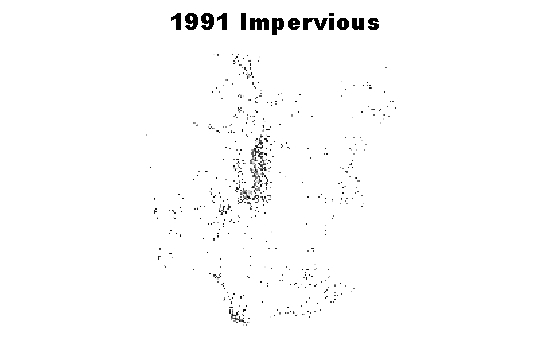 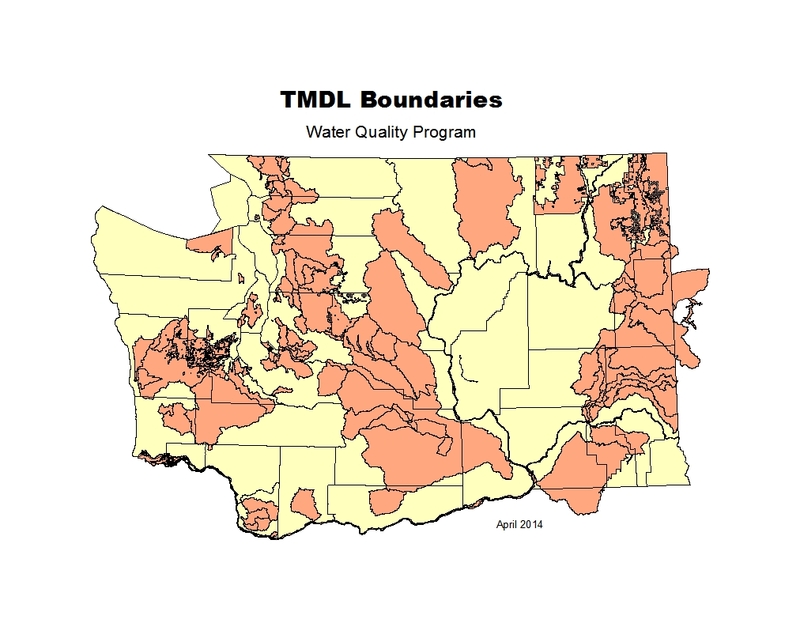 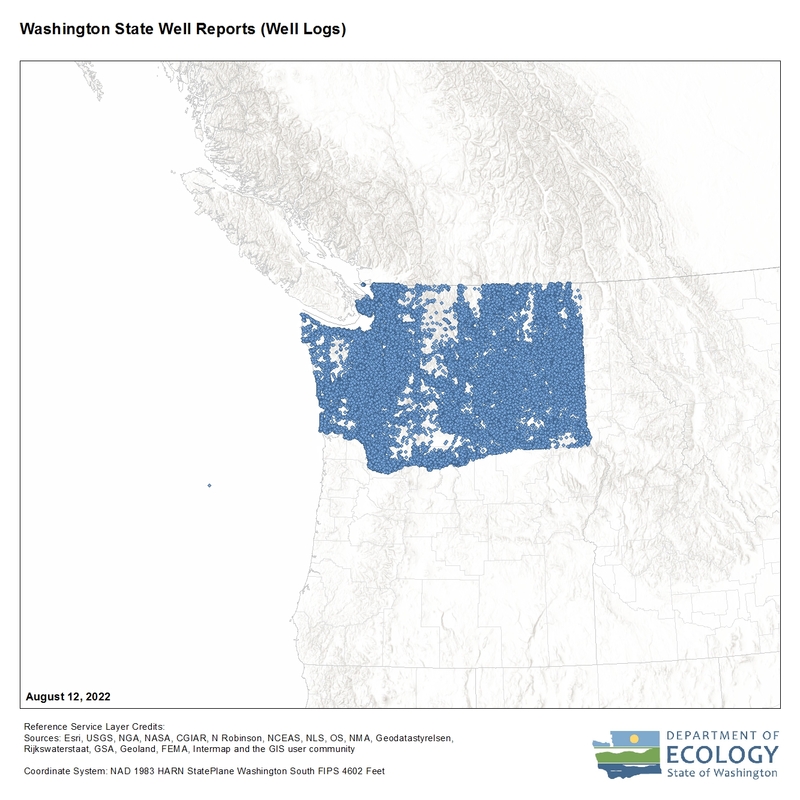 This dataset contains spatial and attribute information of the Surface Water Quality Standards for the State of Washington, Chapter 173-201A WAC. 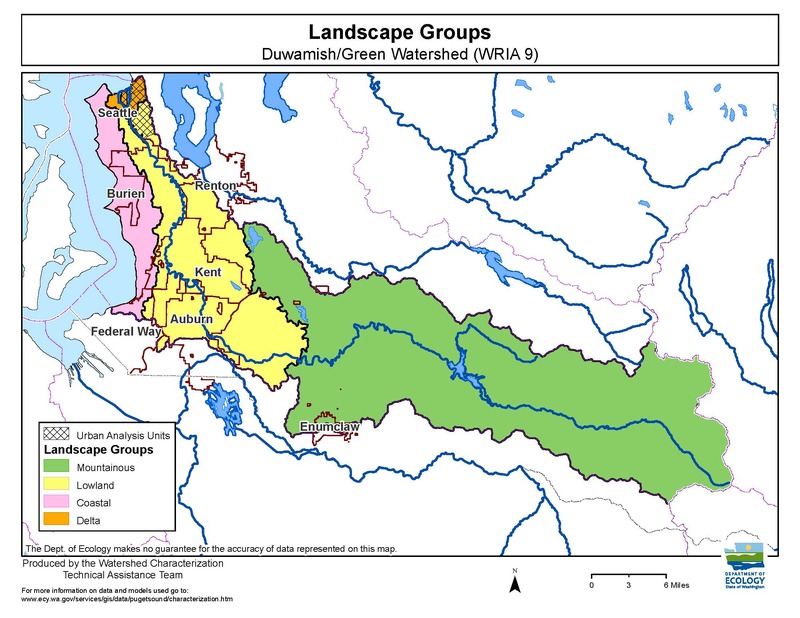 Four views of the WQ Standard are contained in this dataset, Freshwater Beneficial Uses, Seasonal Supplemental Spawning and Egg Incubation Temperature Standards, rules designated in Table 602, and exceptions to Table 602 listed in the footnotes. 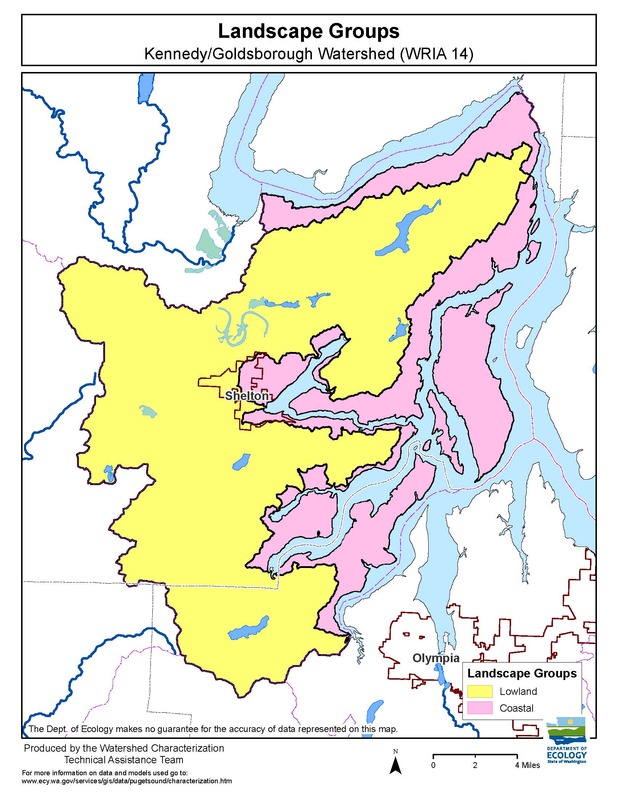 If any discrepancies are found between GIS layers and the published rule, the published rule takes precedence. 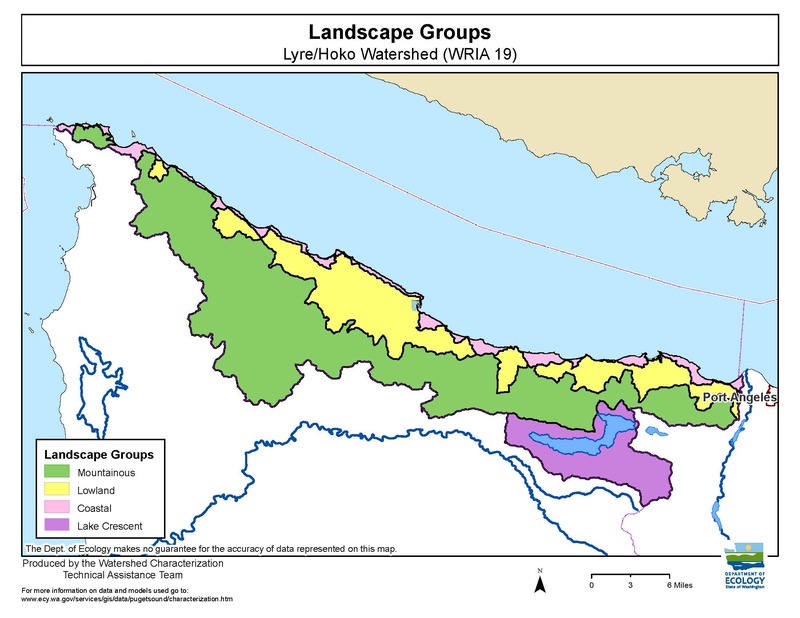 Updated April 2018. 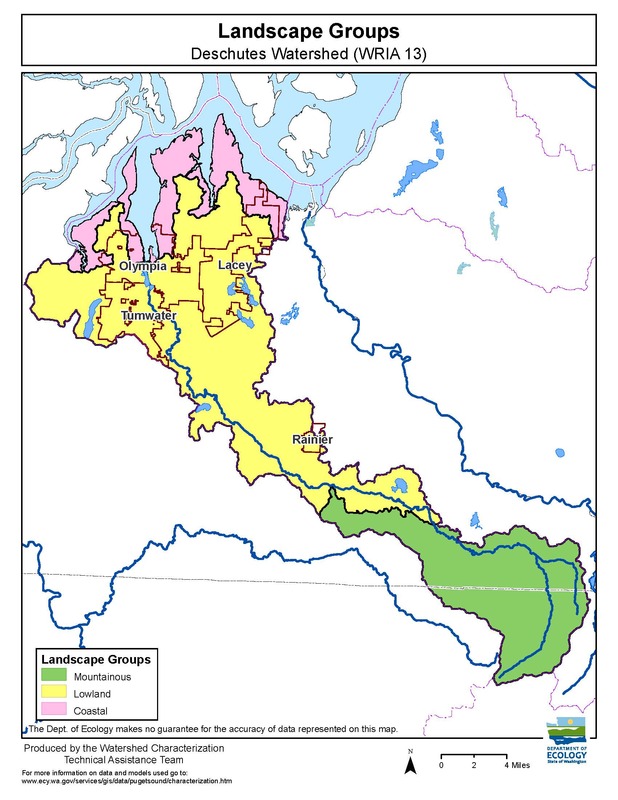 Boundaries representing the area covered by TMDL projects or 4b projects. 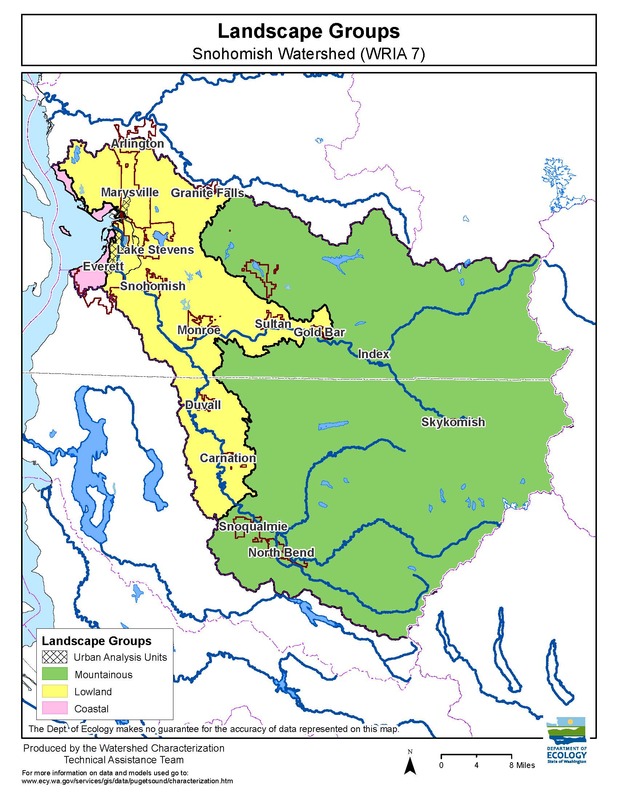 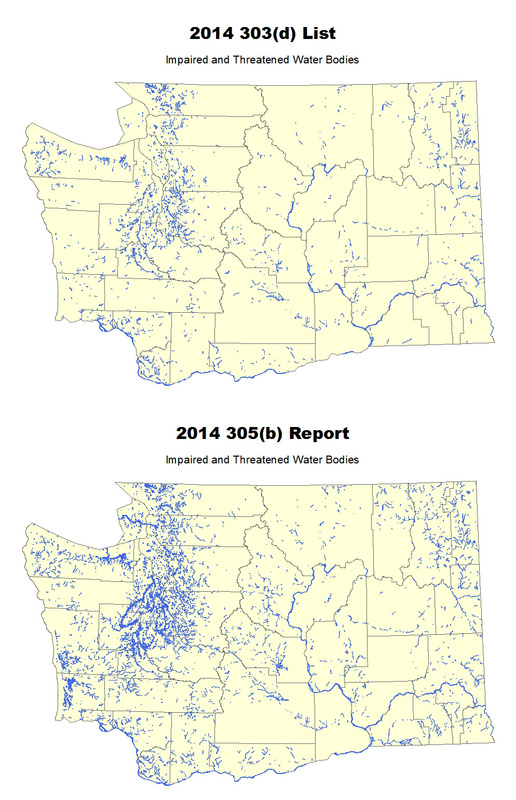 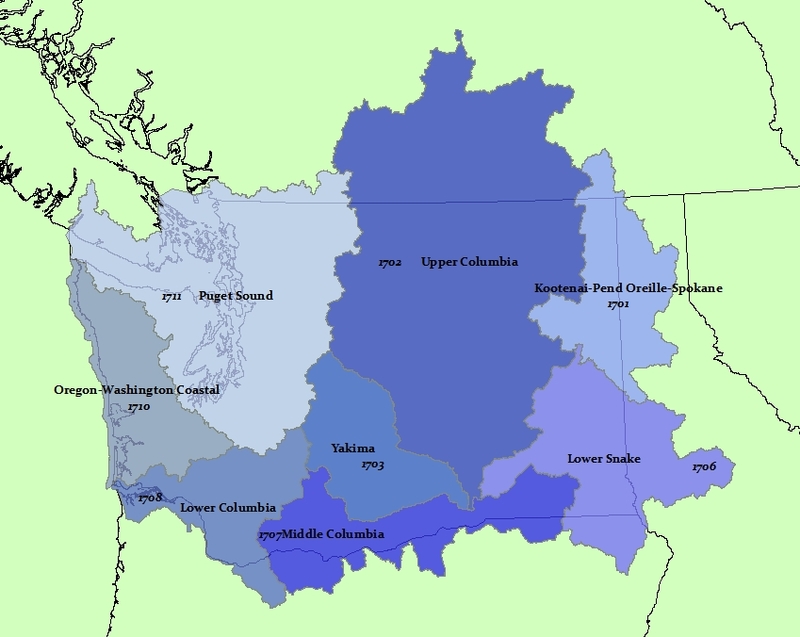 Washington state's current Water Quality Assessment (WQA) produced in the Environmental Protection Agency's Integrated Report format consisting of both the 303(d) List and the 305(b) Report. 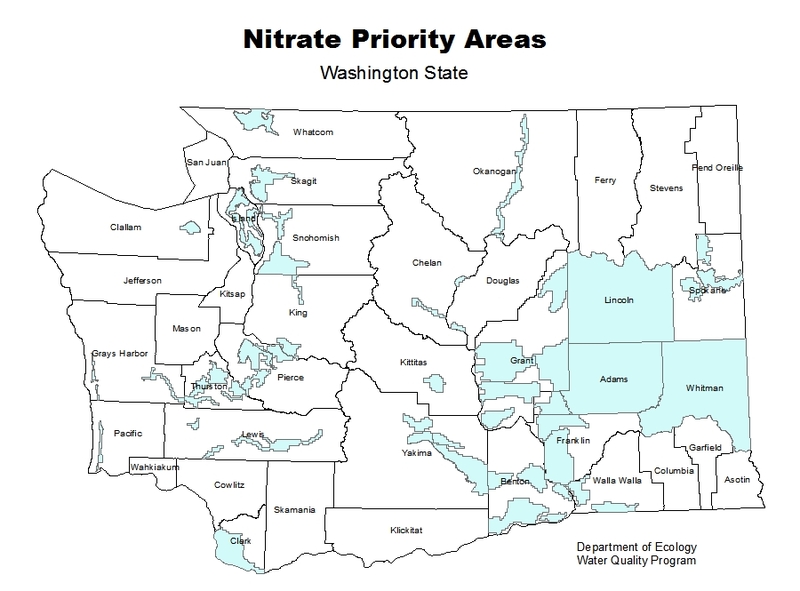 Areas for state water resource planning and administration. 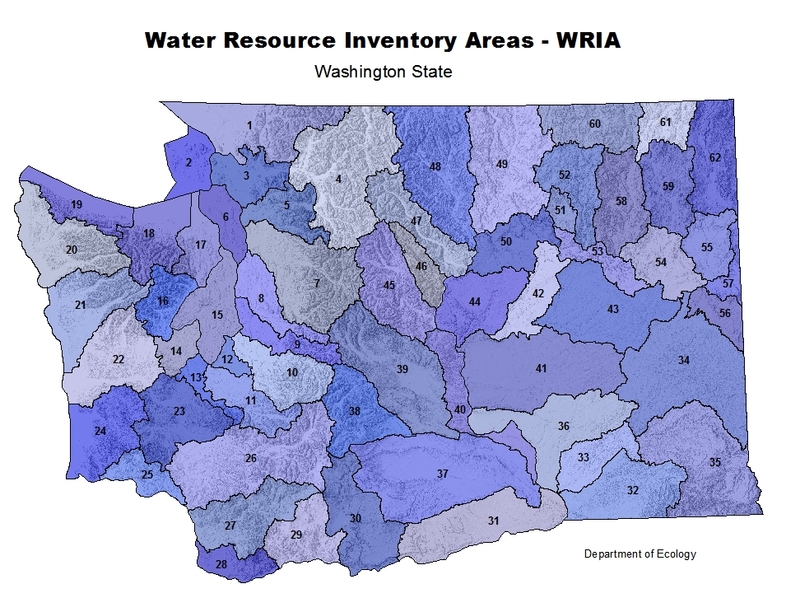 Ecology Water Resources GWIS database, which includes water right place-of-use polygons and associated device points. 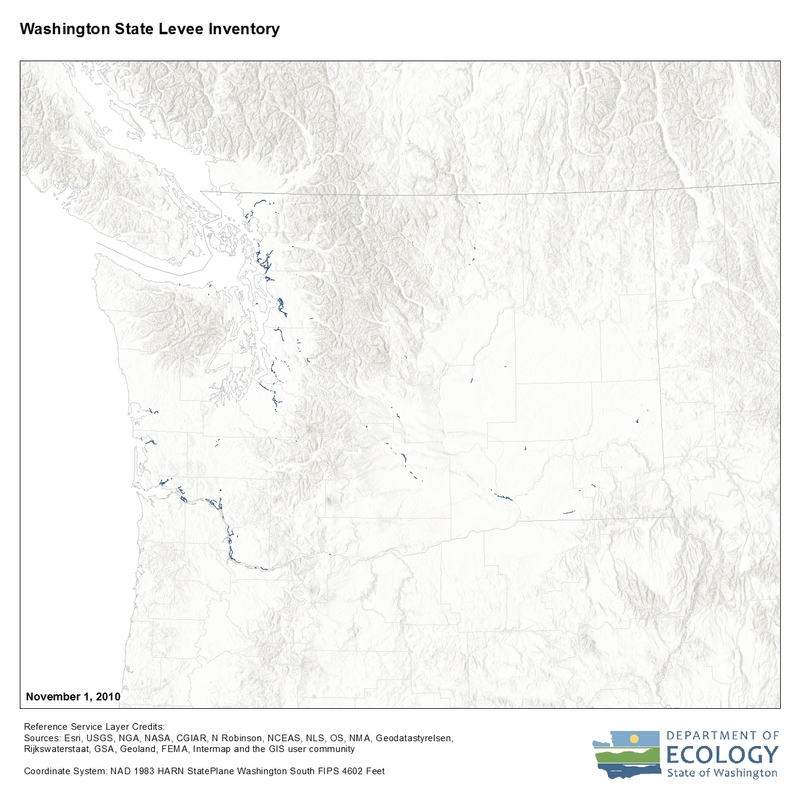 Updated November 2016. 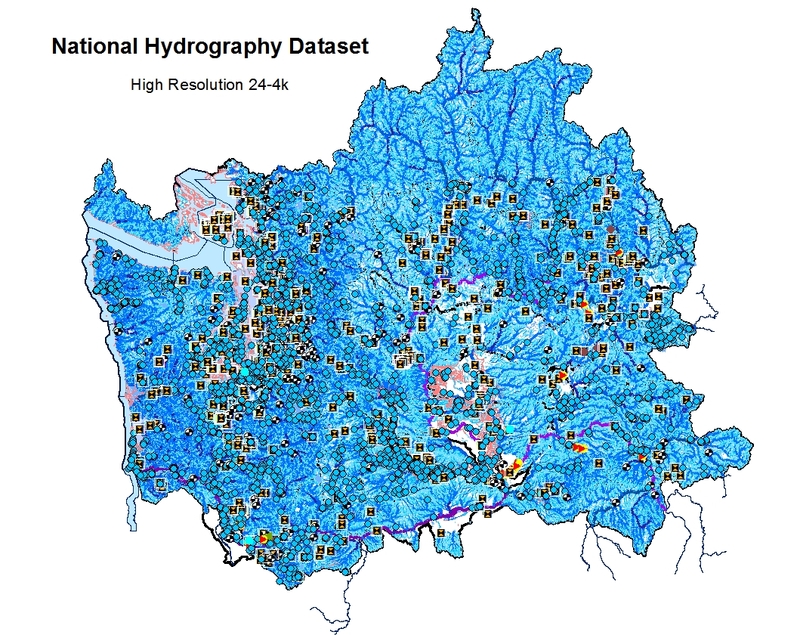 Surface Water Points of Division located as hydrography event features on the National Hydrography Dataset (NHD) April 2016 Model 2.2. 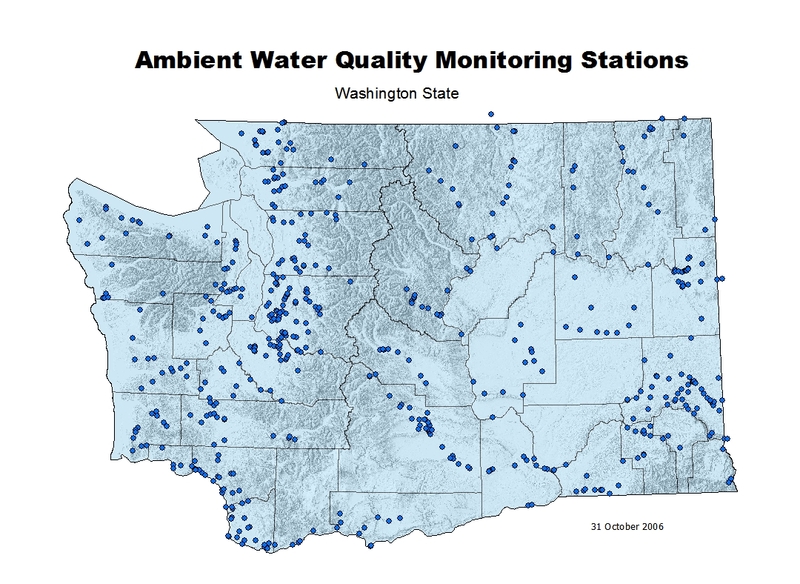 Locations from the Water Resource Program (updated daily). 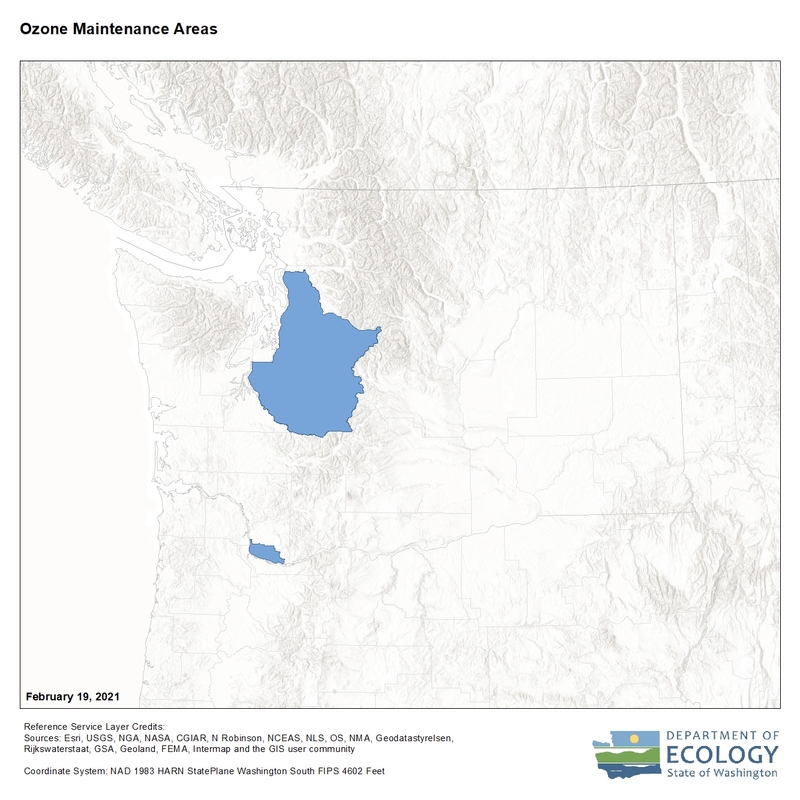 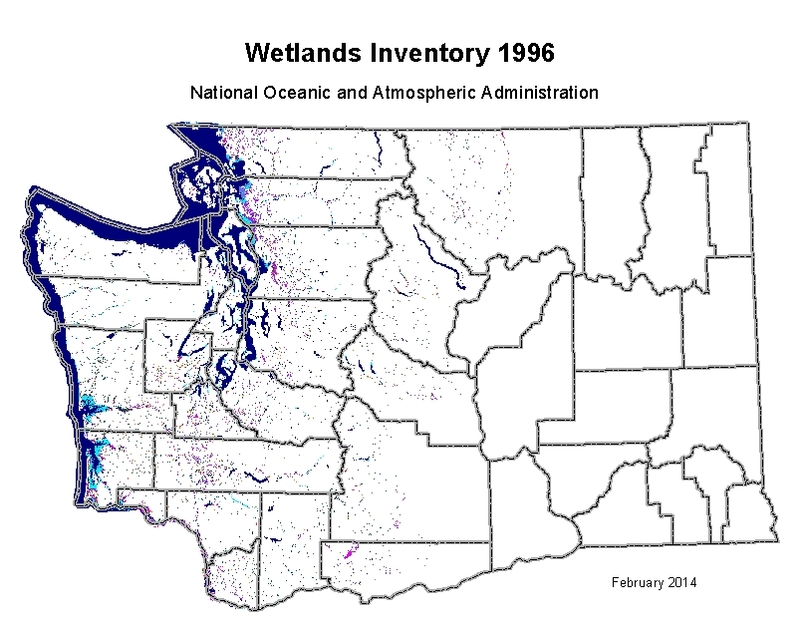 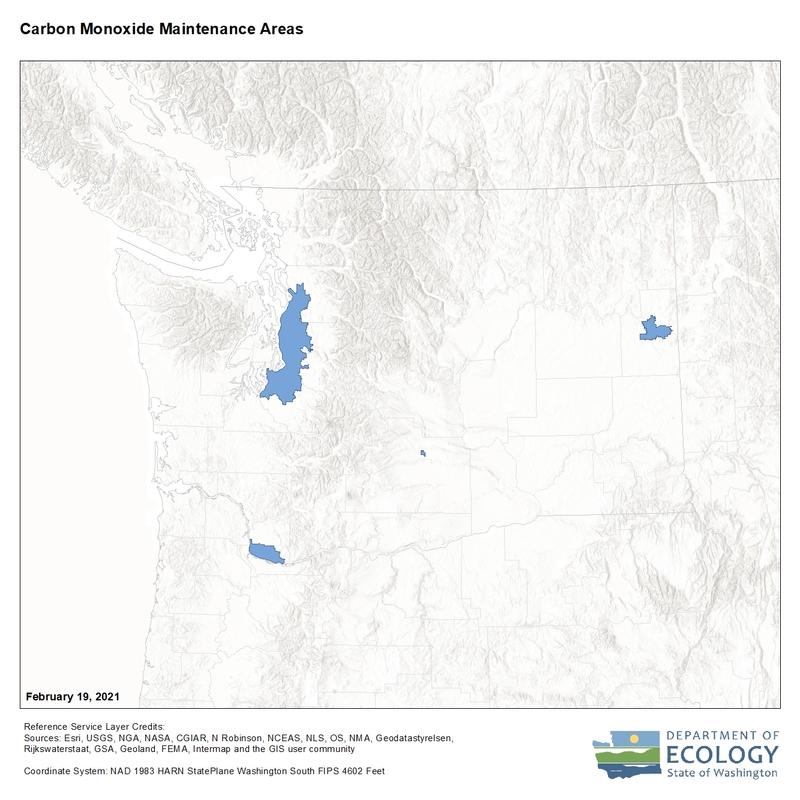 The Modeled Wetlands Inventory was carried out for the Washington State Department of Ecology by the NOAA Coastal Services Center under EPA grant funding. 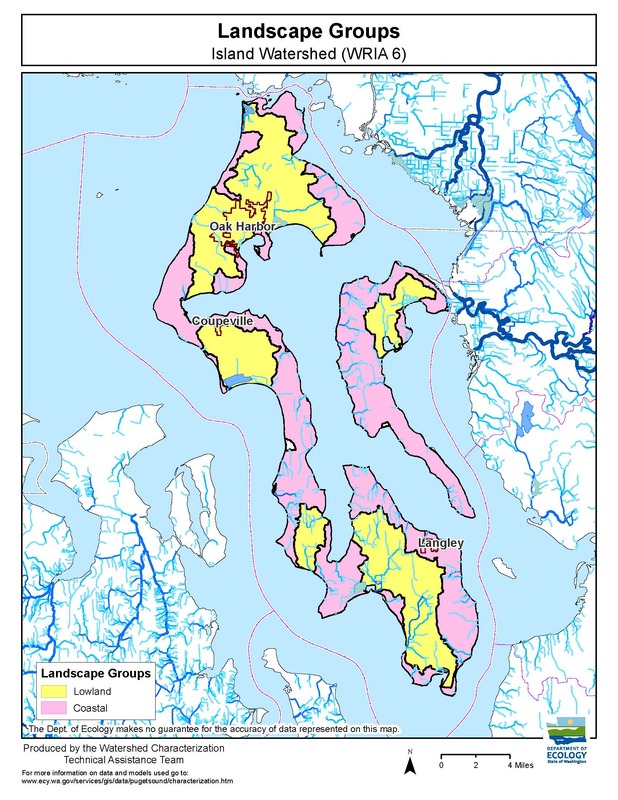 The inventory is based on a land cover classification which utilized Landsat scenes which were analyzed according to the Coastal Change Analysis Program (C-CAP) protocol to determine land cover. 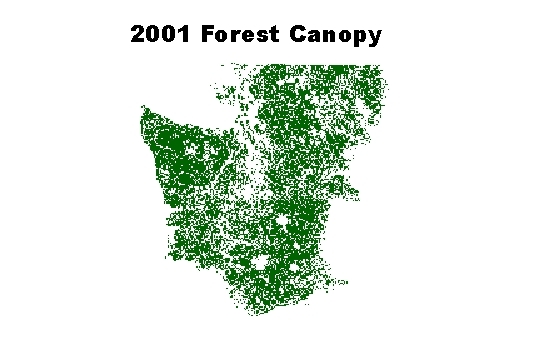 Our GIS data, while available for free of charge, is covered by our Conditions of Use Statement. Please view our copyright page for more information.